You know what I’m feeling today? It’s that we’re on the verge of spring and I’m so very glad. Yet at the same time, I almost start feeling nauseous because he should be here, too. It’s the bittersweet. It’s becoming very distasteful – like it’s too much. I’m tired of the bittersweet flavor of my days. Give me the bitter and I will grieve. Give me the sweet and I will hope. But the combination of both is too strong at times. I don’t like the taste. I’m tired of drinking it. I experienced a stronger sense of this months ago at a friend’s wedding (which ended up being just a week or so before Jeremy’s death). We had hoped Jeremy would be well enough to attend but he was far from it. I ended up going by myself, thinking nothing of my aloneness as I went (why wouldn’t I go to the wedding?). But the minute I walked through the doors my eyes filled with tears, streaming down my face the entire time (and that’s a rarity). It was the same building, the same sanctuary, the same vows. Jeremy and I had shared in the same joy as we stood at the altar promising to be one another’s. I was happy for them–thrilled and excited. I was overjoyed that they were beginning to travel one of the best roads in life. But the reality of my life that particular day stood out to me as well. I was reliving memories of vows made to one who at that exact moment was laying in a hospital bed, hardly breathing, unable to speak or look at me. And the significance of those vows–in sickness and in health–were being (and had been) lived out. And I began to think about the two at the altar claiming each other’s lives and I wondered what was in store for them. How deep would their sorrows be and how deep their delights? But it’s worth it, right? Because the joy, the depth of intimacy and walking the road with the one you love is so much better than walking it alone. That day, the taste of bittersweet and the tears that were born out of it were too much. As soon as I had greeted the bride and groom I made straight for the door–making eye contact with no one else–because the taste had gotten the best of me. I drove directly to the hospital and held Jeremy’s hand in mine. And I felt death creeping in, the possibility of the severing of our oneness in this life. It happened again in the fall–this time at a funeral rather than a wedding. An aged woman, who was a dear friend of Jeremy’s, had passed away. I was again, in that same building and the same sanctuary. And tears wet my face for the same reason. Bittersweet. She and Jeremy are tasting the joys of heaven. This woman’s desires, through years of pain and longing to be out of this world, had been fulfilled, completely. But then I see her husband who was bound in a wheelchair, ill and aged himself and I think, here we are left to bear this grief. Maybe I was tempted to compare for a split second: look at all the years they got to spend together–she lived 60 years longer than Jeremy. 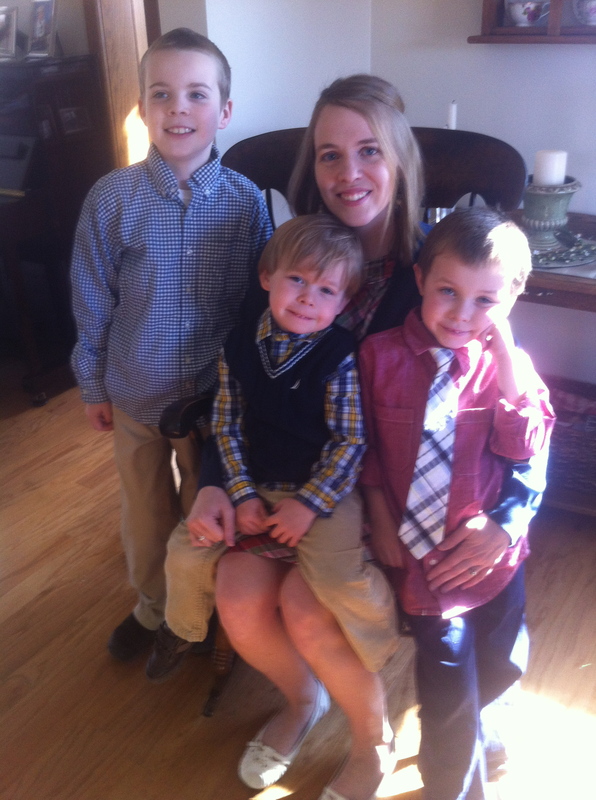 While she had prayed for the last decade to die, Jeremy had prayed for the last decade to live. There is a tinge of bitter, when I compare ages or when I see her husband now alone in his old age. But there is still a sweetness to knowing she and Jeremy are experiencing everything perfectly that they were made for. I do not taste the bittersweet in such particular ways these days; it’s maybe more of just an underlying flavor. And it’s Holy Week, which has the potential to either intensify or diminish the flavor. There must have been so many different things the disciples were feeling and experiencing back then, things that Christ must have been feeling and experiencing. Although I most often feel the undercurrent of a hundred different things on my mind and heart, I am struck these days at how I feel almost nothing at all–it’s like I’m not quite sure how to enter into and experience this “Maundy Thursday, Good Friday, Resurrection Sunday” kind of week. I’ve always felt that Easter (and maybe the entire surrounding season) hasn’t mattered enough to me, ever. It’s never left the impression that I think it ought to. I considered the other day that the numbness and weariness I’m feeling is possibly because this year seems more like Easter Saturday–the death has happened. The life that was here which gave shape and form to my life is gone (though hardly a comparison). But what I know now that the disciples didn’t know then, is that the resurrection happened, too. And the resurrection of Christ wrote a completely different ending to the story (an ending that changes our ending) which ought to change everything; it ought to change the way we love and the way we grieve. A year ago Jeremy was to remain home and not travel north to Roseau. Spring planting was beginning and doctors were concerned about him breathing in the different dust particles and such that fills the air during that time (the things one must consider…). Jeremy encouraged the boys and me to make the trip anyway. The boys were looking forward to being at Grandma and Grandpa’s and Jeremy had some tasks that he wanted to accomplish without us around. Those tasks were bittersweet: videos to the boys and me and letters to the boys that will one day let them drink in deep of his love for them. But the taste of those gifts these days is still sometimes too much. Sometimes tasting the gift of the cross and resurrection is too much as well. I still can’t seem to unpack Holy Week; not so much because of Jeremy’s death, but because of Christ’s. I have tasted bitterness but I can’t grasp the flavor of the bitterness He tasted. I have loved, but not like He loves us. The intensity of bittersweet that was His to drink is so far beyond what any of us could ever stomach. There is one thing, though, that my heart has settled on as I’ve contemplated this week: because of the resurrection I rarely question God’s intentions. If the disciples couldn’t see and understand the grand story He was writing–the great sacrifice on His part, and all that He was saving them from–it’s likely I won’t either. Not until that Kingdom that He lived, died, and rose for is mine to behold as well. Looking forward to that. But grateful to be doing life here, even still (just ready for a new flavor, maybe). I remember the night when I asked him some of the hard questions. It was a short list, but I dreaded voicing them. Jeremy and I knew that we were standing on the edge of either a brand new life or an untimely death. We knew which way we wanted things to go, which way we hoped things would go. But neither of us wanted to be naive or surprised by the end result. And if death was a clear possibility, then we had some things to talk about. So that evening, we made decisions regarding our living will. I asked him about his music–the studio, his instruments. What would become of it all? Then we talked over the possibility of him needing life support. How much and how long? And what of the quality of your life? I remember my heart felt bottomless as I asked him about the boys. Do you want them to see you? Do you want their last memory of you to be of your death, when they’re just so young? But he had already thought this through. If he was really sick and ended up on life support, yet there was still hope for him to get better, he’d rather not have the boys come. “But if I’m dying, yes, have them come see me.” Then he ended his answer to that question by saying, “But Jen, I trust you. You’ll have to feel it out. You’ll have to feel them out. You’ll have to do what seems best.” And I remember in that moment dreading the day that I might have to make that call. The entrusting of those decisions–the hearts of those boys–to my care alone seemed all too weighty. Yet I knew as well as he did that it just might have to be that way. Where would you want to be buried? “Rose, I suppose…” he answered. We talked briefly about funeral arrangements, but ever so briefly. I found out a few months later that we could have spent much more time on those arrangements. His funeral came together wonderfully, but his only input was a page worth of scripture passages and a few notes jotted down about a possible message. Then last fall I found myself thinking through what to put on his headstone, another task that I felt all too incapable of (if only these details had been on my short list of questions for him). This task was weighty. It was hard. It was a process. It felt like such a big deal to inscribe anything on it, because it’s permanent; because there’s so little space; because he was a writer and words mattered to him. Jeremy often had this feeling that he might die young. Maybe it was because he experienced the death of his cousin (a really good friend to him, and big brother of sorts) when he was a young boy. Maybe it was because he was an artist (two of the artists he had admired in his early years as a musician, Rich Mullins and Keith Green, both had untimely and tragic deaths). It wasn’t necessarily that he wanted to die; though, as he explained to me years later, he wasn’t very bothered by the thought of dying. And this feeling he thought, at times, actually kept him from fully living. Until he battled cancer the first time. Then there really were days he wanted to die and I completely understand why. But he didn’t die. He lived. And coming out on the other side of that experience made him really, really want to live. He came up with that little motto “now live” after that first cancer experience. For the years following he ached and longed to be well. He wanted to be well for me, for the boys, and for all of you. The summer and fall before his most recent diagnosis were the most alive and well he had been in nine years. It was glorious. But it was so short-lived. Then I watched him fight for life again, and I watched him die. 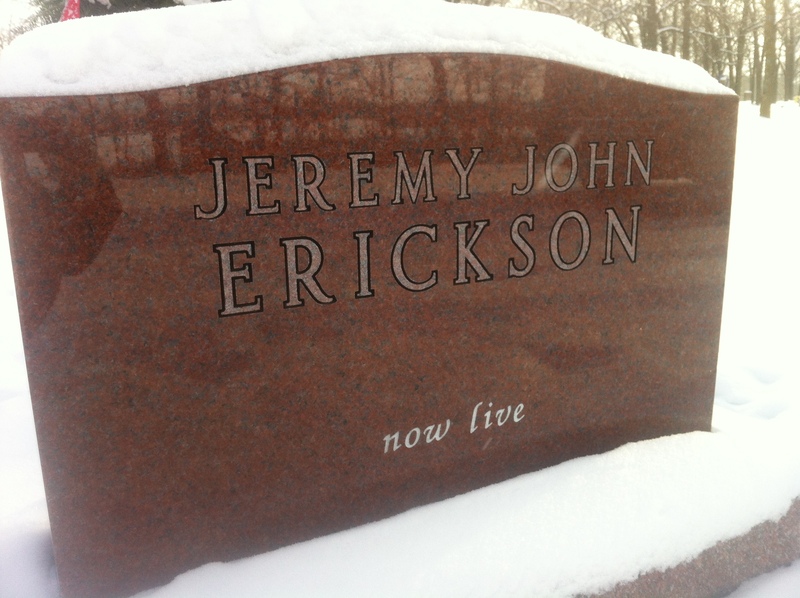 And as I watched his casket being lowered into the grave–by far the most dreadful moment of my life–even in my bitterness, I thought, “Now live, Jeremy. Curse this broken world. Curse these broken bodies. Walk away from them and live. Be free from all that has hindered you, from the pain you endured, from disease and disappointment and discouragement. Instead, experience more life than you ever dreamed possible”. So now when I visit his graveside I crouch down and can’t help but touch my hand to the ground–dust to dust. And when I run my fingers over those two words etched into stone I am reminded that I have laid him down to live, and I consider what brokenness he has left behind. Good for him. Not so good for me. 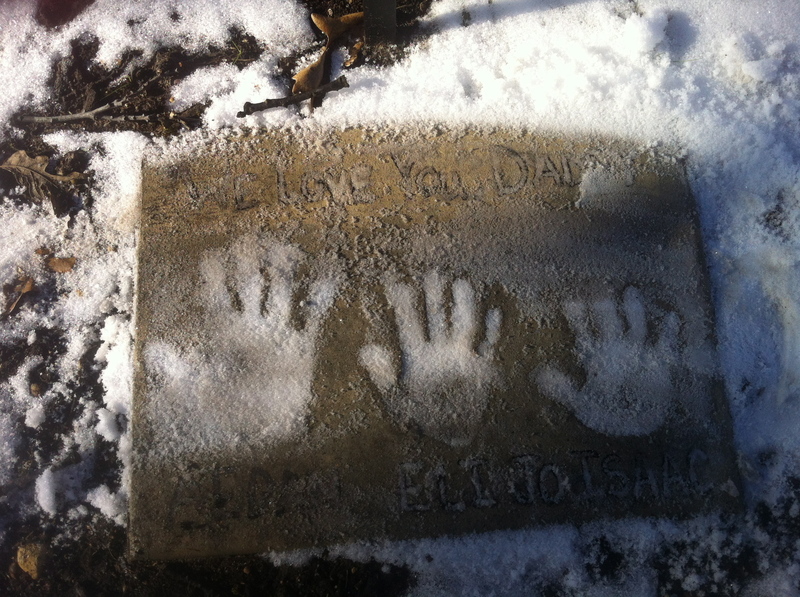 Or for the three little boys whose hand prints are cemented in the footstone of his grave. But I have often thought, and I actually know it to be true, that he would be telling us the same thing. “Now live, Jen. Don’t let this grave be the end of you. Grieve. Lament. Remember. Shed your tears here for me. But now get up and walk away and keep on living. It’ll be broken. It’ll be hard. But one day, you’ll be more alive as well. So don’t hold back now, not because of this grave”. So I tell it to him. And he tells it to me. And I walk away. And I try not to hold back on the life that God has for me. After having had such a difficult time choosing a headstone and the inscription, and spending a great amount of time thinking through it all, I was still slightly disappointed at its imperfections–how it turned out compared to how I pictured it turning out. There was a day that it greatly discouraged me. And I wondered, “Why is this bothering me so much? It’s just a rock.” But I considered its importance. It’s the last thing that marks his body. The only thing. I want it to be perfect. I want the perfection of this stone to override the imperfection of my reality. I want this rock to convey everything he ever was. But by the end of that disappointing day I realized again–it’s just a rock. This world is fading away. This stone marks his imperfect body, not his perfect one. So I let it go. Instead I remember and rest in the resurrection of Christ. I look for it in everyday life. And if resurrection is bound to happen for the rest of us (which I know it is), I know that I can live out these days here. I can let the imperfections go. I can turn my gaze off the grave stone and toward the One who resurrects both our hearts and our lives. For His Names’ sake, I now live.